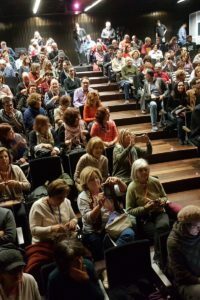 Report on the exhibition Osip Mandelstam: Word and Fate by Antonia Ortega Urbano. This exhibition is a hoint project between Granada UNESCO City of Literature and the Centro Federico García Lorca Consortium together with Heidelberg UNESCO City of Literature and the Moscow State Literature Museum, with the support of the Mandelstam Society in Moscow. 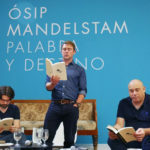 Osip Mandelstam: Word and Fate contains 138 pieces of extraordinary value, never before seen in Spain, most of which were lent by the Moscow State Literature Museum. 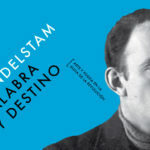 A full telling in images of the life and works of Osip Mandelstam (1891–1938), one of the greatest twentieth-century Russian poets, and at the same time an extensive sample of the culture and society of the times in which he lived, from the early days of the Russian Revolution until the Stalinist state was firmly established. The exhibition contains original manuscripts, first editions, paintings, drawings, illustrations, posters, photographs and graphics, as well as all kinds of documents and personal objects, belonging not only to Mandelstam himself but also to his friends and contemporary artists, to make up an impressive frieze of the Russia of his day.